It was being reported yesterday evening that highly rated Everton centre-half Mason Holgate was in the Midlands and undergoing a medical ahead of a move to West Bromwich Albion when the January transfer window reopens on Tuesday. The 22-year-old England Under 21 international can also fill in at right back so his versatility will be an asset for head coach Darren Moore as we look to continue our promotion hopes at the first time of asking as the second half of the 2018/19 campaign ticks through. 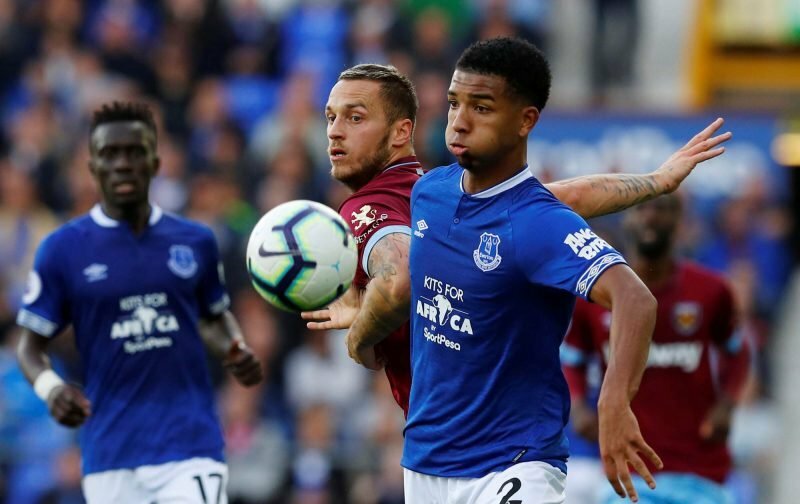 Having come through Barnsley youth setup, he made the move to Everton in 2015 and he has over 50 appearances to his name in his career with the bulk of those coming with the Goodison Park outfit – although with their strengthening last summer he has only appeared six times so far in the 2018/19 campaign. The deal would be a loan until the end of the season, but the rumour mill hasn’t yet said whether or not there would be a buy option included but I’d doubt it myself.